Breathe in the fresh smell of the ocean and the sweet, warm scent of spruce and juniper as you wind along the Atlantic Ocean coastline. 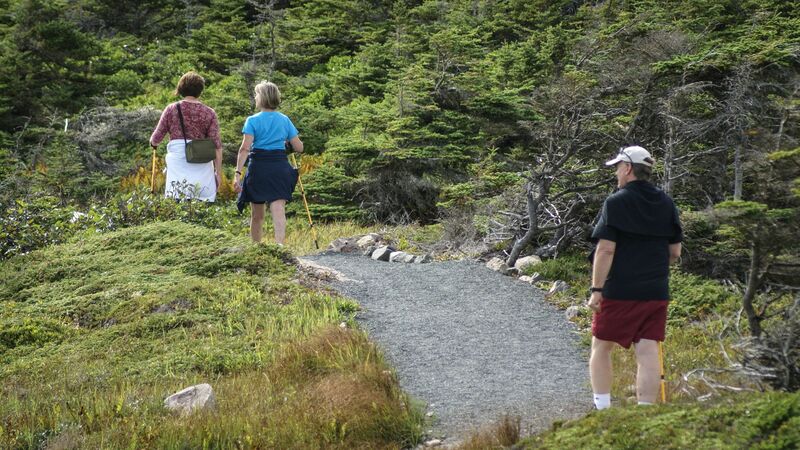 Our three signature trails are part of the Fortress of Louisbourg National Historic Site. They have many tales to tell and beautiful scenic viewscapes to share. This 3km (2 mile) loop, beginning at the lighthouse, is a groomed trail. A more rugged extension ungroomed with pathways leads to Lorraine Head. This is an additional 3 km (2 mile) hike, moderate to challenging in terms of the footing but with no hill climbing. Historical significance: This treacherous stretch of coastline has seen many shipwrecks over the years including a British frigate, the Feversham 1711, a treasure-laden French ship Le Chameau 1725 and passenger ship the Astraea 1834 with only 3 survivors and 248 lives lost. 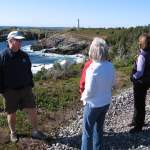 This 4-kilometre (2.5 mile) loop beginning about a mile beyond the Fortress of Louisbourg on the road to Kennington Cove Beach, is an ungroomed trail consisting of easy paths and some rough rocky shores (beach rock)with one cove is locally known as “the graveyard” because of its shallow depths and proliferation of abandoned lobster traps. Historical significance: It was a British encampment site during the sieges of 1745 and 1758. Positioned along the shore of Gabarus Bay , it was the marshalling area for some 150 vessels during the 1758 siege of Louisbourg. This 2.25km (1.5mi) loop on the western shore of Louisbourg Harbour takes you through the area known as Old Town,. 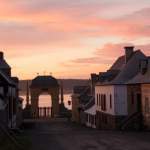 About 1.5km (1 mile) from the center of the village Louisbourg, it has great views of Louisbourg Harbour and the islands and leads close to the gates of the Fortress of Louisbourg.  Historical significance: from the 1700s to the 1960s it was home to originally French inhabitants and later to a close knit community of mainly Irish Catholic descent. Once one of the busiest ports in North America, you can imagine this harbour in front of you literally filled with French ships of sail and smaller fishing vessels. Don’t forget to take a seat in the red chairs located along the old town trail.